The copper washer is good quality, durable and sturdy, high voltage resistance. Scope of application: vehicle, boat, electrical appliances and so on. 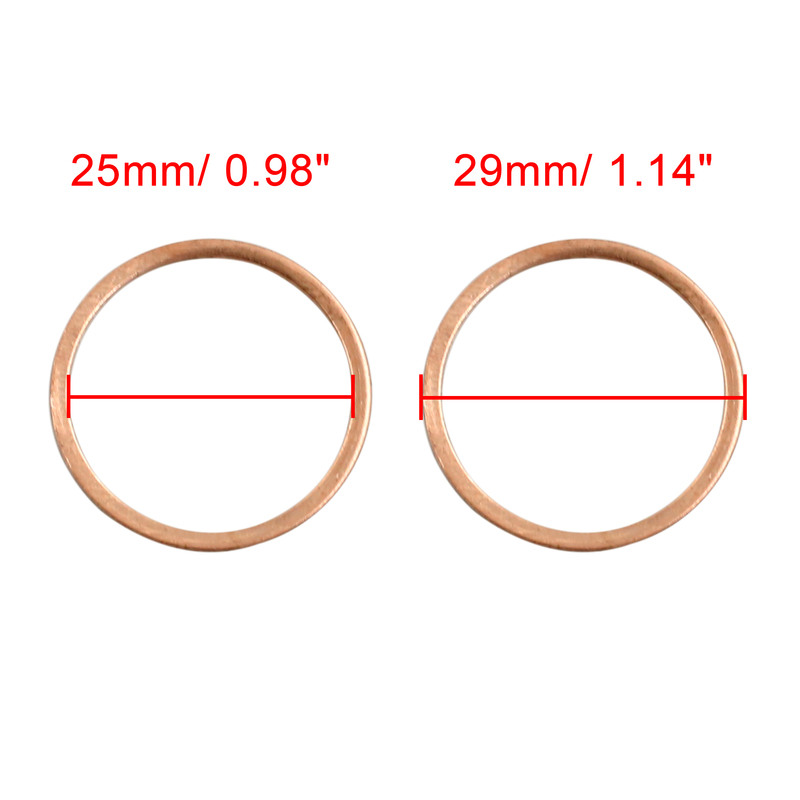 It is very useful to fix and seal machine parts by these copper rings. Notes: Please allow 0.3-0.5 mm error due to manual measurement.